One Ocean Expeditions (OOE), a world leader in expedition cruising, continues to evolve the exploration, study and education of the polar regions, including the sub-Antarctic region of South Georgia. A destination that profoundly touches even the most widely travelled of adventurers, South Georgia is known as the ‘Serengeti of the Southern Ocean’ with the greatest wildlife show on earth, due to its sheer beauty and staggering abundance of wildlife. Expeditions to South Georgia begin in October, coinciding with the island’s emergence from the long, icy winter. 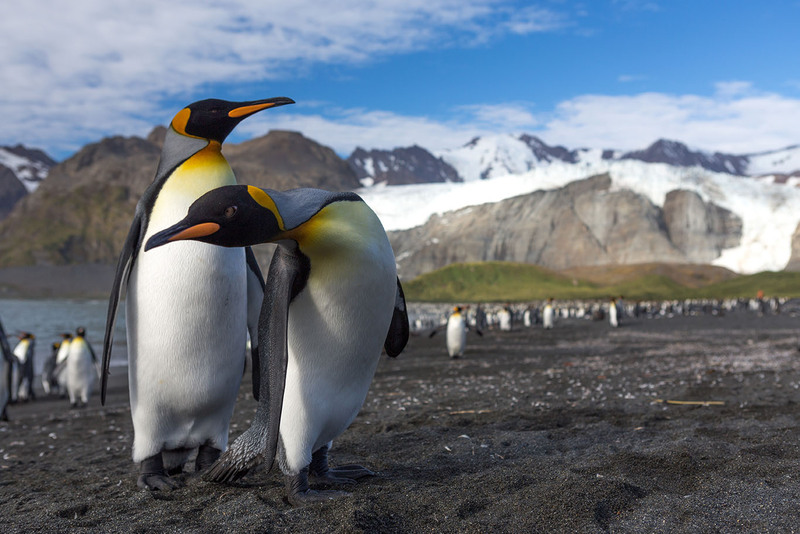 With hundreds of thousands of king penguins breeding, nesting and protecting their eggs; elephant seals challenging for mates on the beaches and hundreds of endemic species to be discovered, the extraordinary wildlife on this isolated island is at its prime during the early spring. As the Southern Hemisphere springs to life, OOE’s ‘Photography Symposium’ programme takes place, a dream come true for both amateur and professional photographers alike, led by award winners such as Daisy Gilardini. The first two voyages of the season – in October and November – are dedicated to this specialised adventure offering interactive workshops with talented professionals who share their expertise in capturing some of the most majestic wildlife and landscapes on Earth. While guests have the chance to explore in-depth with a bespoke itinerary designed to maximize time on the island, OOE’s aim is to create the perfect mixture of wildlife and activity with education and science. Visits to historical sites such as the South Georgia Museum, timeworn whaling stations and the final resting place of Sir Ernest Shackleton and Frank Wild in Grytviken add a profound sense of responsibility to protect this unique, remote and historical destination. OOE is committed to the conservation of South Georgia and its history. In recent years OOE has contributed to the successful rodent eradication project led by the South Georgia Heritage Trust; supported the exploration of the South Georgia crossing by the New Zealand Antarctic Heritage Trust for the film ‘The Last 36’, and assisted Australian adventurer and environmental scientist Tim Jarvis and his team from the 25 Zero Project in their endeavour of the crossing. Those with an adventurous spirit can tackle the South Georgia crossing on select departures led by OOE’s IFMGA qualified mountain guides. 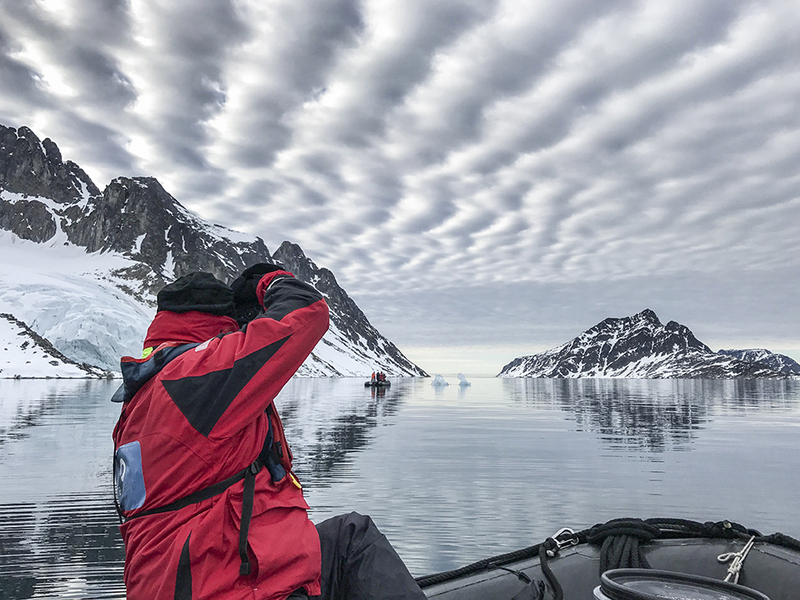 Sailing onboard all OOE voyages is a team of expert marine biologists, geologists, polar historians, photographers, ornithologists and artists who will share their knowledge and passion through daily educational seminars and compelling fireside chats. Guests may embark as visitors, but they will leave South Georgia as ambassadors for this special destination.